Hmmm. Dry brush or not to dry brush, that is the question. I've been fighting my own style a bit lately, trying to settle on when I can get away with a sketchier look and when I need to reign it in or, as seen in most of my con sketches of late, just use one primary light source and blow out every outline so as just to leave the shadows that define the form. I'm sure I'll hit on something that works pretty soon it's just...maybe I'm thinking too hard about this, eh? 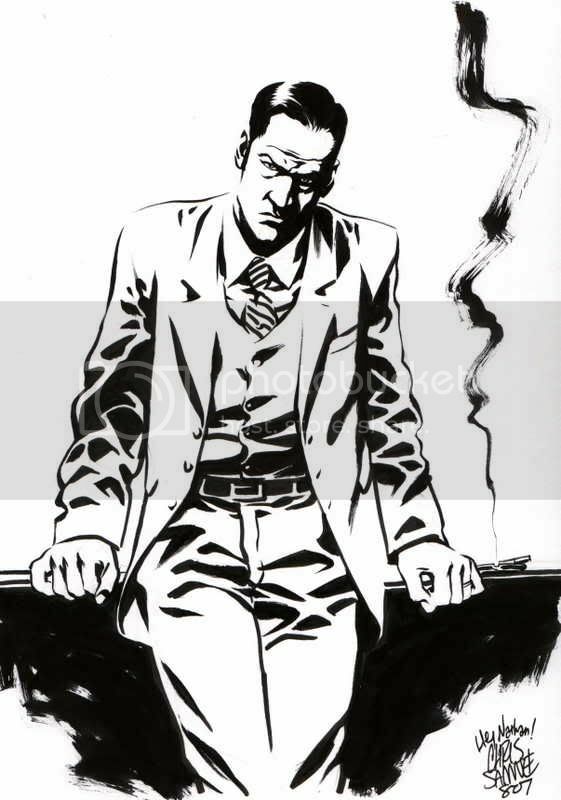 A kind of strange question: Does your eye immediately see things/characters in terms of strong light and shadow, or does it take awhile to come to those decisions -- what to leave in, what can go away? The looser brush work as the shadow here looks really good with the tighter shadows; great shapes in the clothing creases. I love the dry brush, personally. And now that I've seen that Crocker of yours, I know what I'm going to get from you next time I see you at a Con! 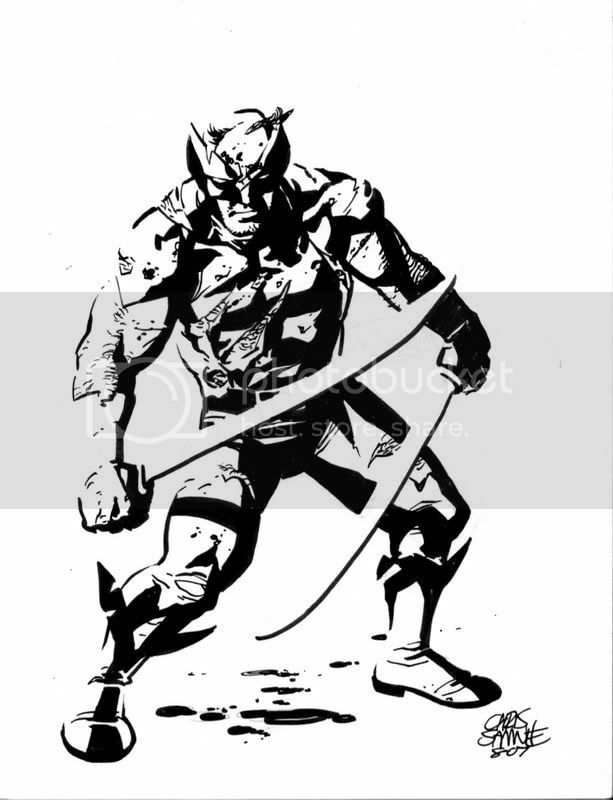 I'm not usually a big fan of Wolverine in costume, but that is one nice looking sketch! Hey Meggan, I guess it kind of comes naturally... I usually get a pose in my head before I touch paper sketch that in with a hard lead pencil, tighten that up with a softer lead(outlines and all), pick a light source and start laying in black until the forms start to pop. I guess that's a really simplified look at my process:) Thanks for a great question. Hey Alex, sounds good. Thanks! Hey Shane. I'm a bigger fan of the brown Wolvie costume (even thought the yellow and blue can make for nice B&W art) but I know what ya mean. He really doesn't NEED the costume.